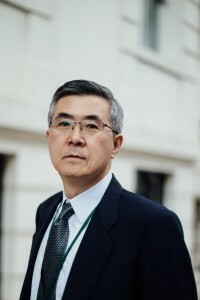 Prof. Keun-Wook Paik is senior research fellow, Oxford Institute for Energy Studies (OIES : https://www.oxfordenergy.org/authors/keun-wook-paik/ ), and associate fellow, Energy, Environment and Resources Programme, Chatham House (formerly Royal Institute of International Affairs : http://www.chathamhouse.org/about-us/directory/70626 ). Prof. Paik is an acknowledged authority on Eurasian energy, and is author of Sino-Russian Oil and Gas Cooperation : The Reality and Implications (Oxford University Press, 2012) & Gas and Oil in Northeast Asia : Policies, Projects and Prospects (London : Royal Institute of International Affairs/now, Chatham House, 1995). The 2012 OUP book’s Chinese version, Korean version and Japanese version was produced in 2013, 2014 and 2016 by CNPC’s Petroleum Industry Publication Co Ltd, KNOC and ERINA (Niigata based) respectively. Prof. Paik has contributed over 50 papers to Energy Policy, Journal of Energy and Development, Geopolitics of Energy, The Pacific Review, Energy Exploration& Exploitation, Oil & Gas Journal, Petroleum Economist, Pipeline and Gas Technology, FT Asia Gas Report, China Daily Business Weekly, China Brief, The World Today, RIIA Briefing papers, East Asia Forum Quarterly, Asia Europe Journal, The Northeast Asian Economic Review, and Asia-Pacific Review. And he is frequently interviewing with the western and Asian media, like BBC World News, BBC World Radio, CNBC, Financial Times, New York Times, Associated Press, Reuters, Bloomberg, Interfax, Novosti, Sputnik, Xinhua News Agency, China Daily, ChoongAng Newspaper, Energy Tribune, Foreign Policy, and EIG (Energy Intelligence Group) publications. Since 1996, Prof. Paik has been advising Russian, Chinese, Japanese, Korean and American Institutions with regard to Eurasian energy issues, in particular, Geopolitics of Northeast Asian region’s transnational pipeline development, China’s natural gas expansion & China’s going out strategies, DPRK’s energy, Arctic oil and gas supply to Asia, Iraq’s gas and the related infrastructure development, and East Africa gas supply hub development and Asia’s gas consumers alliance. In particular, Prof. Paik was appointed as advisor to Sino-Russian Oil and Gas Cooperation Committee, under China National Petroleum Corp in late 1990s, and then appointed as advisor to the Chairman of Government, Sakha Republic, Russian Federation in early 2000s. And he was a member of Working Group on Energy for DPRK during 2003-2005, and during January-June 2006 was invited as a consultant for the establishment of UNDP GTI Energy Board and Expert Commission under the Energy Board. In 2011, Prof. Paik was invited as a visiting professor on Geopolitics of Northeast Asian Energy at Global Collaborative 2011 Summer Programme (a JV between Kyunghee Univ and University of Pennsylvania) at Kyunghee University. In 2012 he became a Part time BP Professor at Moscow School of Management SKOLKOVO Energy Centre. In March 2013, he was invited as Adjunct Professor of Yonsei-OIES Programme on Energy Security at Yonsei-Seri EU Centre under Institute of East-West Studies, Yonsei University, and in October 2013 he was invited as Adjunct Professor at China Petroleum University (Beijing). In May 2015, he was invited Guest Professor at Jilin University at Changchun. Prof. Paik is a graduate of Yonsei University (Under Graduate School : 1979.03 – 1983.02 & Graduate School : 1983.03 – 1985.08). He got Ph.D (1989.09 – 1994.07) from University of Aberdeen, Scotland.